An unusual procedure to produce antibiotics can help solve the serious problem of a lack of innovation in the pharmacological field of ​​chemotherapy (1). This method, described in an article in the journal, “Nature” (2), has facilitated the discovery of a new antibiotic, Teixobactin. Preliminary studies on mice have been spectacular, both due to their curative effectiveness, and because of the absence of side effects when using it. In addition, the mechanism of action of the antibiotic (see later in this text) guarantees, to a certain degree, against the development of resistant strains. The way of obtaining this antibiotic has opened up an innovative route for obtaining new anti-infectious and anti-cancer compounds. This molecule was already known, but the study of it was abandoned because it was impossible to cultivate the microbes that synthesize it under laboratory conditions (in vitro). 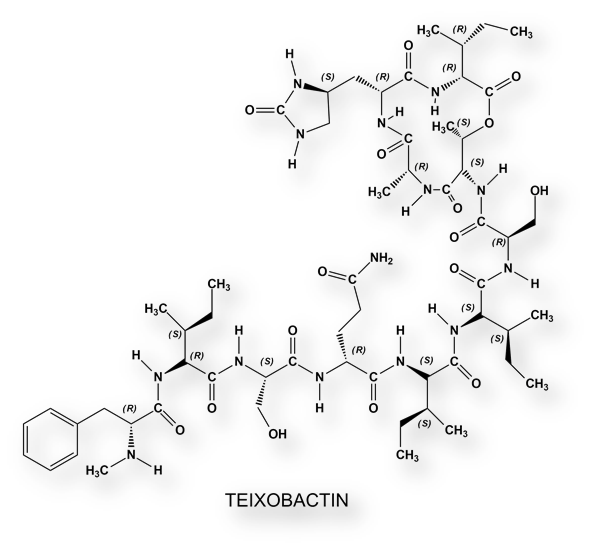 Teixobactin has not yet been tested on humans. At best, (if there are no mishaps with preliminary clinical studies) Teixobactin will be available within 5 or 6 years; and only as an intravenous formulation, but not as a galenic for per os administration. Teixobactin has aroused great interest in recent years within a relatively barren research area. However, we must be very cautious, and not generate unreasonable expectations. The “Achilles heel” of many molecules with promising therapeutic potential is a lack of tolerance and their toxicity. Until now, only new antibiotic molecules have been sought among bacteria that grow in their natural environment. These represent only a tiny fraction of all soil bacteria. This methodological limitation acts as a brake on the identification and isolation of potential new antibiotic molecules. It is estimated that more than 99% of all bacterial species have not been able to grow in vitro. All living beings (from microbes to mammals) continually compete for survival. The main weapon of the microbial world in this invisible war is antibiotics. The exponential growth of any bacterial species is kept at bay thanks to the fact that other bacteria make molecules that, as inferred from their name, “antibiotics”, slow down their irrepressible multiplication. In this chemical warfare in the underworld of the visible, bacteria mutate to avoid the deleting effect that antibiotics exert on their growth; meaning, they develop resistance. A multi-channel device, called iChip, has been used to first isolate, and then multiply bacteria which, in principle, cannot be cultivated in a laboratory. A soil sample (in this case from a meadow in the US state of Maine) was filtered until only a few bacteria are released into one of the channels of this multi-channel device. The channel is then wrapped in two semi-permeable membranes, and is again placed on the ground from which the bacteria were isolated. Nutrients and growth factors pass through the semi-permeable membrane making it possible for the bacteria to grow in their natural environment in order to form a sufficiently large colony to make an in vitro culture possible. In this way, about 50% of all soil bacteria are used, while less than 1% would be extracted employing the classical Petri-dish culture. Once a bacterial colony is obtained by means of this system, the in vitro culture can be attained. It is as if the bacteria had been tampered with to achieve its growth under laboratory conditions. More than 10,000 bacterial isolates, obtained through this iChip technique, have been used against Staphylococcus aureus cultures. Of these isolates, an extract of β-proto-bacteria, provisionally named Eleftheria terrae, demonstrated exceptional antibacterial activity. The sequencing of the Eleftheria terrae genome showed that this bacterial species belongs to a new genus related to Aquabacteriae. This genus of Gram-negative bacteria was not known as a source of antibiotic molecules. A compound, which has been called Teixobactin, with a molecular weight of 1,242 Daltons has been isolated from this bacterium. [It has been called “Teixobactin” because it interferes with teichoic acid, the precursor to peptidoglycan, which is, let’s say, the bacterial cell wall “scaffolding”. Teixobactin is a deps-peptide that contains enduracididine, methyl-phenylalanine and four D-amino acids. Teixobactin impedes the synthesis of the cell wall, by inhibiting lipid-II (a transcendent molecule because it has remained phylogenetically invariant). Lipid-II and peptidoglycan are essential for the stability of the structure of the bacterial cell wall. More specifically, Teixobactin inhibits the action of teichoic acid. In addition to the peptidoglycan structure, the bacterial cell wall is also made up of teichoic acid and lipoic-protein acid. The teichoic and lipoic-teichoic acids (structurally identical) have a net negative charge, fixing cations that give rigidity to the structure of the cellular wall. Research in to the obtaining of Teixobactin was sponsored by the US National Institutes of Health and the German Government (some members of the research team work at the University of Bonn). The work methodology was patented by North-Eastern University, which sold its royalties to a private pharmaceutical company, NovoBiotic Pharmaceuticals Inc., in Cambridge, Massachusetts, United States. This pharmaceutical company has the rights to the royalties to any substance obtained using this technique. Teixobactin is the most promising candidate among the approximately 10,000 strains of the Eleftheria terrae bacteria that have been studied so far. Teixobactin is effective against Gram positive bacteria (streptococci and staphylococci), but not against Gram negative bacteria which lacks the cell wall, which is the antibiotic target. Currently, chemical modifications are being carried out on the Teixobactin molecule to extend its anti-bacterial spectrum. 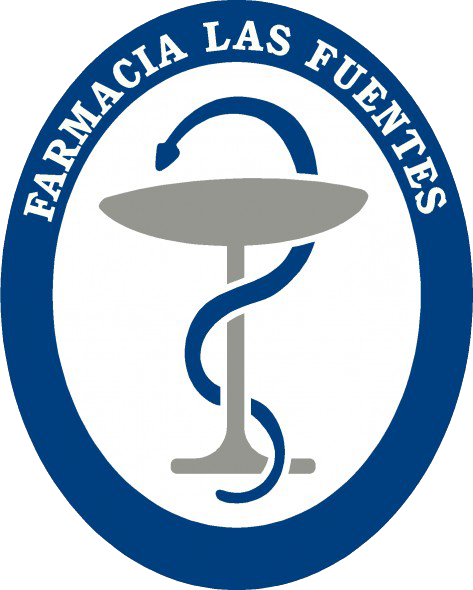 Another 25 molecules extracted from Eleftheria terrae have been tested as potential antibiotics, but were discarded due to their toxicity or insolubility. Only one of these 25 molecules will be taken into account for its efficacy as an anti-neoplastic, despite its relative toxicity. 2.- Losee L., et al. A new antibiotic kills pathogens without detectable resistance. Nature 2015; 517: 455-459.